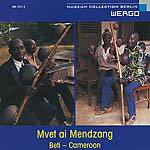 Latest volume in this incredible series of archival world music releases. "0, Great God Sambhu is the latest release in Wergo's Museum Collection Berlin series. 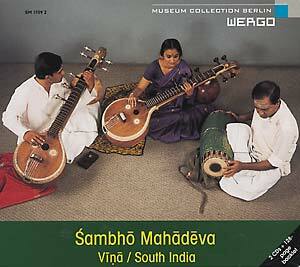 The album features the South Indian vina (lute), one of the most important instruments in Carnatic music, as played by Rajeswari Padmanabhan and Karaikudi Sambasivayer Subramaniam, with percussion accompaniment by Tanjore Upendram on the mrdangam. These studio and concert recordings were made in Berlin in 1975. As is the norm in this series, the booklet (128 pages German/English) is incredibly detailed and informative."